Published: Aug. 28, 2015 at 07:48 p.m.
Collins comes up big on 4th down. Miami Dolphins wide receiver Mike Wallace fumbles and it is recovered by New England Patriots linebacker Jerod Mayo for a short loss. Published: Oct. 7, 2013 at 09:19 a.m.
(3:34) G.Bernard left end to NE 49 for 1 yard (D.McCourty). FUMBLES (D.McCourty), RECOVERED by NE-J.Mayo at CIN 46. J.Mayo to CIN 44 for 2 yards (C.Boling). 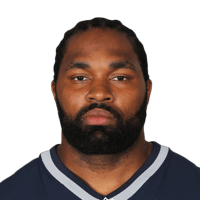 Published: Oct. 6, 2013 at 03:50 p.m.
Cincinnati Bengals running back Giovani Bernard fumbles the ball, and New England Patriots linebacker Jerod Mayo recovers it.